I like Facebook (generally). I LOVE Instagram (for its simplicity, immediacy and 'gentle' visual stimulation as opposed to the sometimes constant bombardment of Facebook). Twitter? Um. I'm trying...but still don't. quite. get. it. But, I do 'get' that all three of these Social Media Platforms (and Pinterest to add another) can be instrumental in helping small and growing businesses well 'grow'; helping us to reach and engage with our target audience. For me a key strength of social media is that it provides a platform from which I can forge new friendships, networks and connections - all three of which are critical to me as I work from home without a 'team' of colleagues around me to provide company, support and direction. I don't however have a 'strategy' in terms of using social media to help grow my business - although I know I should. Sarah Cook launched SHC Social Media in June 2014 after successfully using Facebook and Twitter to promote her Lifestyle Events Business 'The Beauty Event'. Sarah is down to earth, chatty, friendly and incredibly passionate about helping businesses reach their full potential through the use of social media. Sarah is quite simply for me, the perfect person to help a creative soul find her inner geek! Sarah has very kindly agreed to share her Top Ten Tips for using Social Media to help grow your business and so without further a do, I am delighted to hand over to Sarah. 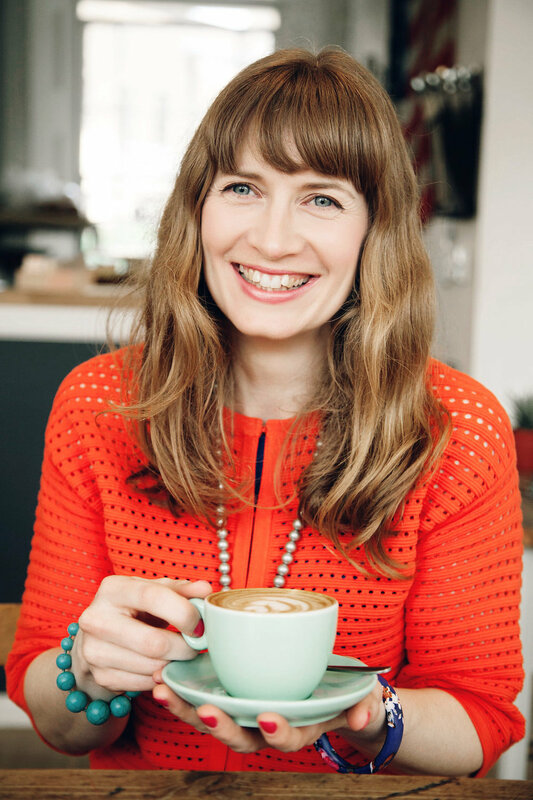 When Charlie messaged me to ask me to contribute to her blog, it was the day before my brand new website launch and I’d just taken on two new clients. I just thought wow everything is happening all at once! Well that’s kind of like life isn’t it? And its the way I like it too! Social media can feel rather like this too! You’ll have highs and lows. One day your post will get lots of interaction, then the following day…nothing. The key here is to be flexible and be prepared to quit a campaign that isn’t doing well instead of digging your heels in and following it through until the end just because you are determined to complete it. Your readers will 'show' you what they like and what they don’t - I don’t mean literally, but, through your insights and your engagement you’ll see what kind of posts your readers like. So guess what? do these types of posts AGAIN!! Find what works and keep doing it until it doesn’t work any more - then change it. Here, I’ve put together my top 10 tips for using social media for a small business. I could have written a list of 100 tips but we’d be here all week! There are more than 50 social media platforms and tools to help you manage & monitor your social media performance. Not even the most experienced social media expert will utilise all these, you’d never sleep!! Don’t attempt to be on every platform! Think about YOUR ideal customer - Where do they like to hang out? What makes them tick? How can you reach their emotional side? Answer these questions and then determine which two or three platforms you’ll focus on. Is it Pinterest, Instagram, Twitter, Facebook….? OK, so now for 9 more top tips! (Or even 90/10!) Plan 80% of your content to be entertaining, amusing, funny, light hearted. Something that triggers emotions, connects & resonates with your reader. 20% of your content can then relate directly to your business. Ensure it’s newsworthy e.g. new services /products, special offers, competitions. Always start your post/update with something that will grab the readers attention straight away. Try to get your message across in the first line or two. Post awesome stuff that your readers will love! Build your business relationships by showing your appreciation, support and admiration for others by sharing their posts on your page. Ensure you tag them and then they’ll get a notification with the details of your update. It’s a 2 way street! Take time to ‘meet & chat’ to those you’re connected to. Say hello to businesses in your field, those you’d like to collaborate with as well as your target consumer. Start a conversation with those you have things in common with. They’ll appreciate the effort you’ve made, you’ll be more memorable and more likely to be the first person they think of when they need your services. You want YOUR business to be in their mind & their thoughts. So why would they contact anyone else but you?! 6) Your brand is YOU! Your brand personality is YOUR personality! Make sure you express this through your social media. People buy people and your consumers will want to do business with those they have built a relationship with and those they like & trust. Your social media is an extension of your brand experience so be sure to wow your customers every time. Respond to questions and encourage discussion. 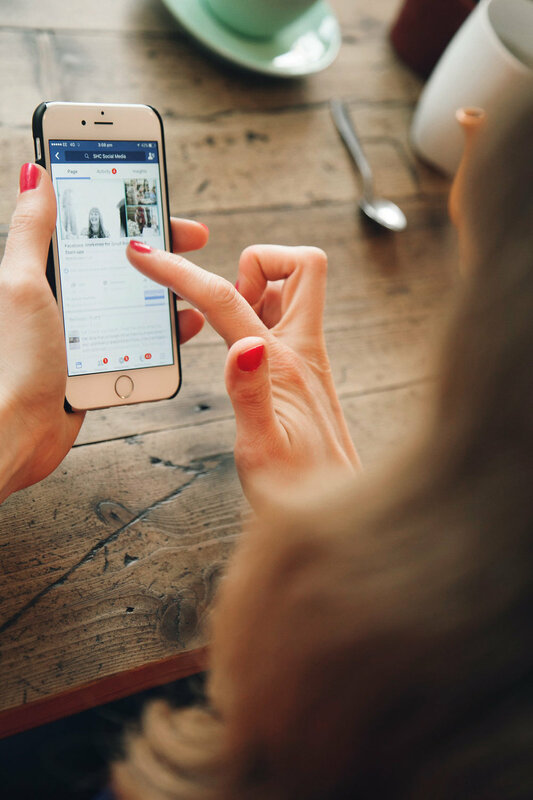 Each time someone comments on your wall, each one of their friends will see what they have said, so it is an effective way to generate word-of-mouth marketing. Content that is thought out and structured within your overall social media strategy will be much more effective than purely ad hoc posting. Schedule 50% of your updates in advance and then have the other 50% as real time posting/interaction. Decide on a content calender based on your social media objectives and then monitor its progress and effectiveness. This is not the place for a stream of high-pressure sales messages. Think of it as an online networking event. Promote your services occasionally but this should not be the main event. Far too many people get this wrong. Social media is about linking, sharing, connecting and the potential for your business grows from this approach. Some people whisper it like it’s a swear word! But it really is a pretty simple and straightforward concept. My advice is make a list of hashtags that relate to your business (see what other similar businesses use) then use these in your tweets/posts - this is what your potential customers will search for. Then YOUR business will appear in their search! Hey presto! "SHC is about opening people’s eyes to an amazing and ever changing online world which has incredible potential for your business when used in the right way!" I help small businesses and start-ups get more social media savvy! If you like doing your own social media I can guide you on how to use it for your business through tutorials, training & workshops. If you don’t like doing it yourself then I can manage your social media accounts for you. The choice is yours.